CSS is a not-for-profit organisation (incorporated in 1999) dedicated to promoting and managing better cycling for all. 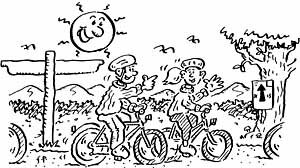 In this capacity, CSS Events works mainly to arrange cycle rides for groups supporting British registered charities. Most of the company’s work is in the south of England and adjacent France. We ran major cycling promotions in East and West Sussex as part of the Millennium Celebrations, for a consortium of local authorities, Royal Botanic Gardens Kew, Sustrans and the Millennium Commission. The formation of CSS Events goes back to 1995, when two Directors began to take groups of between 100 and 250 riders each year to Normandy and the Pas de Calais. These ‘day return’ rides, supported by P&O Stena Line, offered circuits of between 15 and 45 miles and raised funds for the NSPCC, which works against cruelty to children. In May 2000, we led a ride from London to Paris over four days, with stops in Calais-Arras-Compiègne. This event was in support of Norwood Ravenswood, which helps people with learning difficulties. We helped design the Big H ride for the same charity, over 60 miles between Hampton Court and Hove. This was the largest event on which we have worked, with over 1200 riders in June 2003. It was re-branded the Capital to Coast Ride in 2004 and ran until 2016.